This is an update to the original posting in July, to show the special postmarks available for day of issue of this sheet. The first type of British postmark was introduced in 1661, at the London Chief Office, when Henry Bishop was Postmaster General (June 1660 to April 1663). 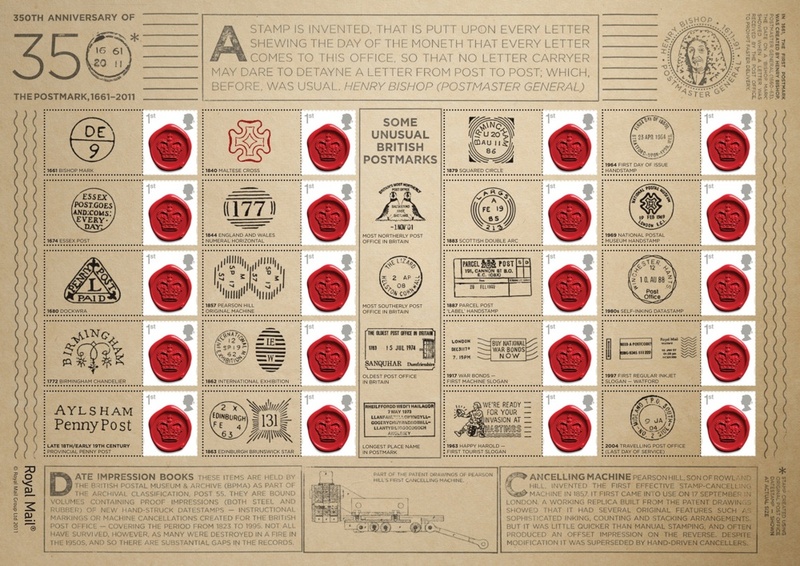 With 2011 being the 350th anniversary of Bishop's Mark, Royal Mail has produced a striking generic smilers sheet showing more than 20 different types of postmark that have been used in Britain across the centuries. 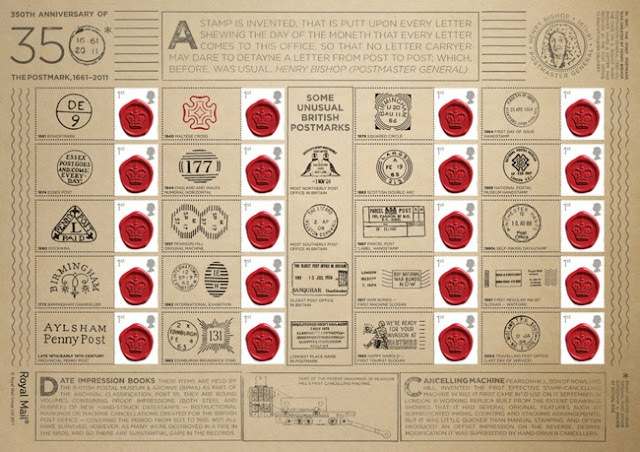 The sheet will be on sale from 15 September (including at Autumn Stampex). Click here for larger image, and here for super-size (1.1Mb) image. These are illustrated with 16 September dates in error, and will be in use on 15th. Special postmarks produced for the House of Hanover stamp issue may also be used (except the 4 inscribed First Day of Issue). Which offices still have Birds 3 Faststamps? Machin and De La Rue news. More cylinder blocks added to our shop.